...what makes a cafe or restaurant successful ? Why are some shops crowded at all hours of the day while others are close to empty ...and ready to close permanently ? We sometimes ponder deep and try to get a feel of the taste that might unlock the secret criteria that determines success or failure of an eatery. For example does the name of a shop have any bearing on attracting customers ? How about the color of the staff uniforms ? Or the length of the cashier's hair ? Even the mis-location of the toilet , who knows ? Ask any normal guy and he will tell you as a matter of fact that " the food must be of acceptable quality and the price right " , followed by "of course lah must be convenient to eat there..". Sounds so easy right ! We certainly think the name is important , especially if it sounds bountiful and prosperous ...like this Cafe situated inside the Billion Supermarket, Seri Manjung. Then take away that meat . Welcome to Seri Manjung's bsg ranked Top 3 cafe ! Fantastic logo and a name that will make many obese happy people proud . Quite delicious Malaysian and Western favourites . Simple menu. That question was on my mind today too when I saw an extra long queue outside Fong Lye at The Gardens. I still don't have the answer. So if we patronize such a cafe, will be fat lah? Aiyo...better avoid. 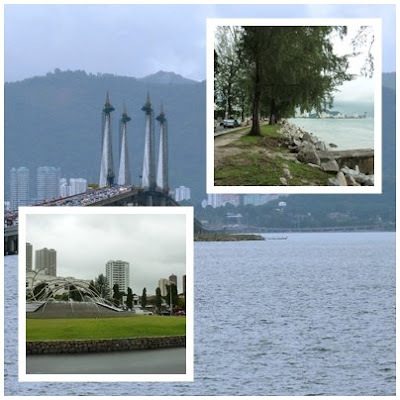 Enjoyed your coastal Perak write-up very much! Fat sells? Like the Fatman Steamboat and Fatty Crabs? 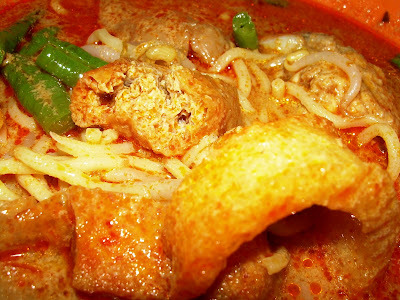 Yah that assam laksa steals the limelight. we are supposed to study why SS2 Murni is doing superwell that even other restaurants talk about it ( notwithstanding that it was forcefully closed for health reasons a few weeks back! but now old town old gals old men old things sell ? top 3 cafe? kindly share the other two, PLEASE? 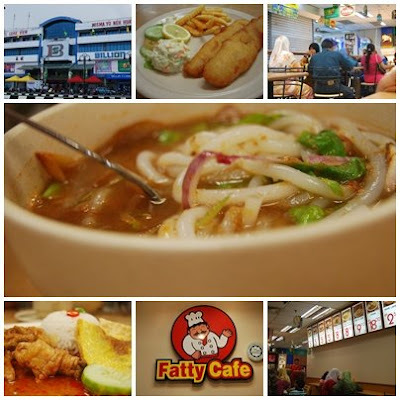 as on most days we went to manjung/sitiawan area, we were stumped on where to eat. thanks! you guys eat like no tomorrow!